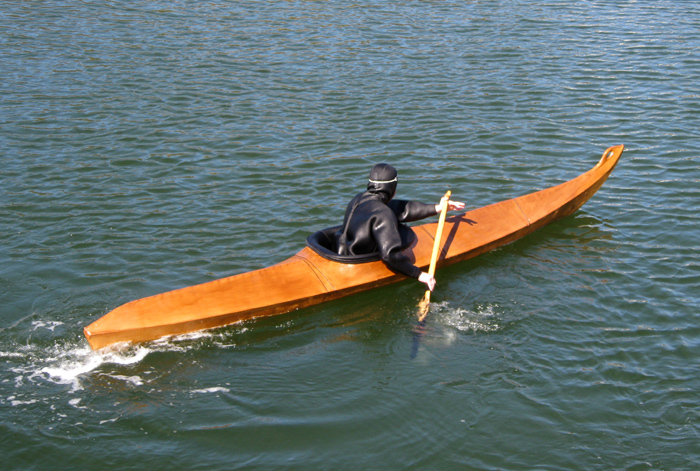 King Island Kayak from the late 1800s. 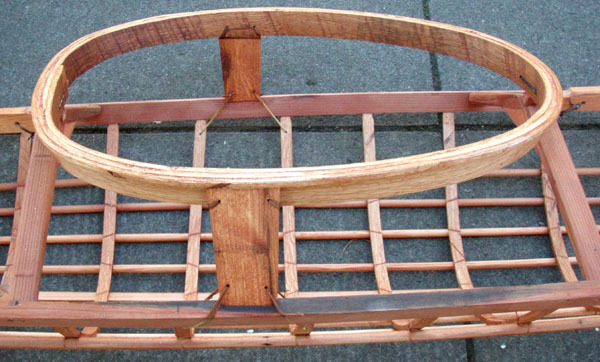 acquired it in 1918 from the Ferry Museum in Tacoma, Washington. 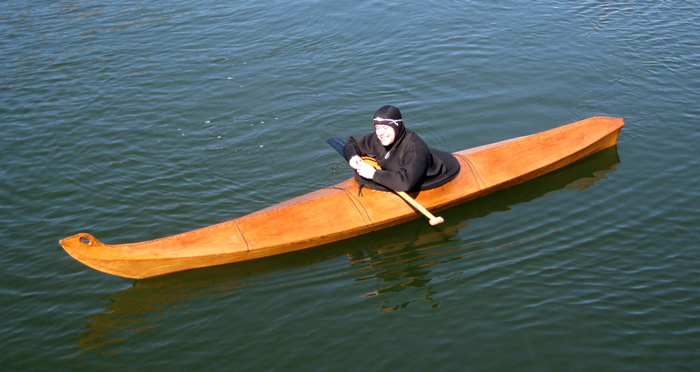 It measures 14'1-1/4" long and 23-3/8" wide. 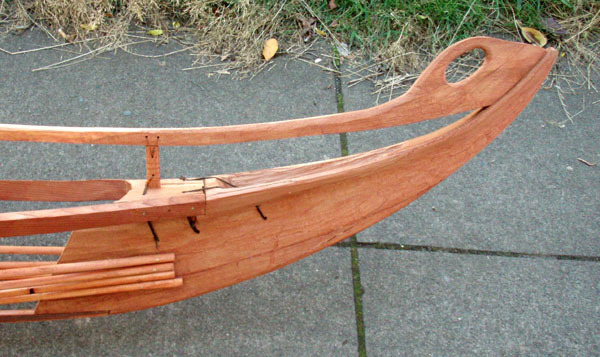 The lines of this kayak are published in "Kayaks of Alaska." 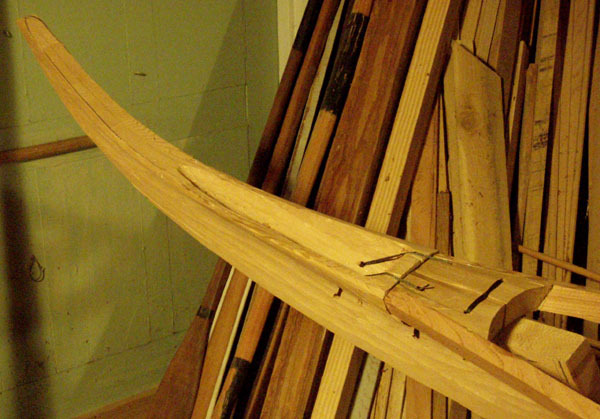 The completed frame: Bow, bottom (bow), and stern views. 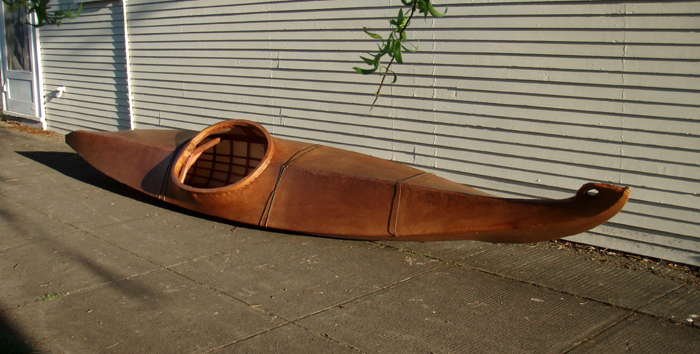 Two views of the replica King Island kayak's bow block. I carved it from cedar driftwood. 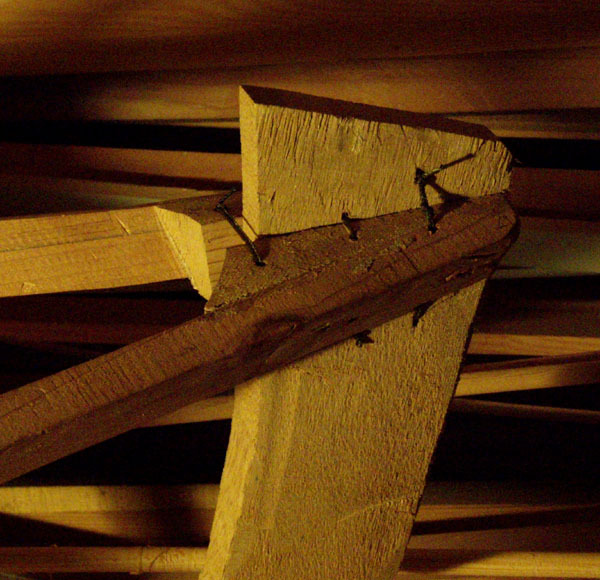 The bow block lashed in place. on the sides of the stern block. The raised top of the stern block will recieve the deck stringer. 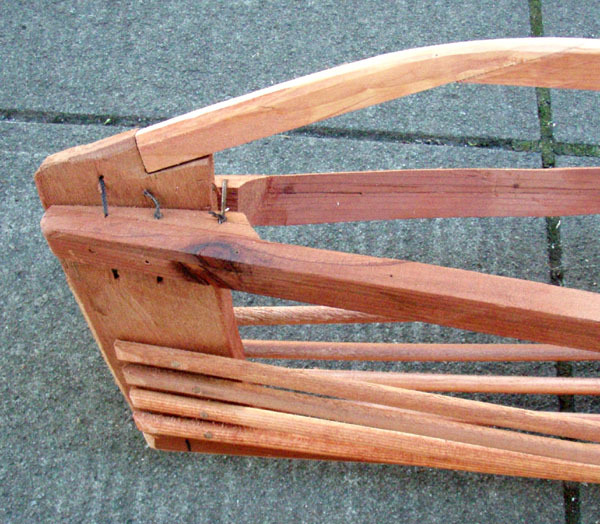 The completed frame-- stained red. 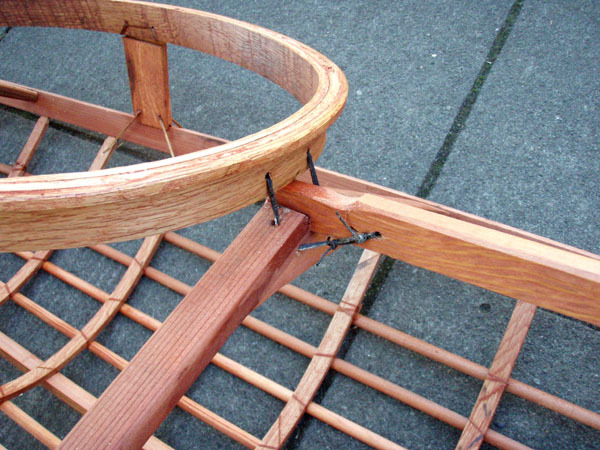 Detail of the cockpit coaming's stanchions: Note how they are lashed to the adjacent ribs. Detail of the cockpit coaming/deck beam/deck stringer joint. 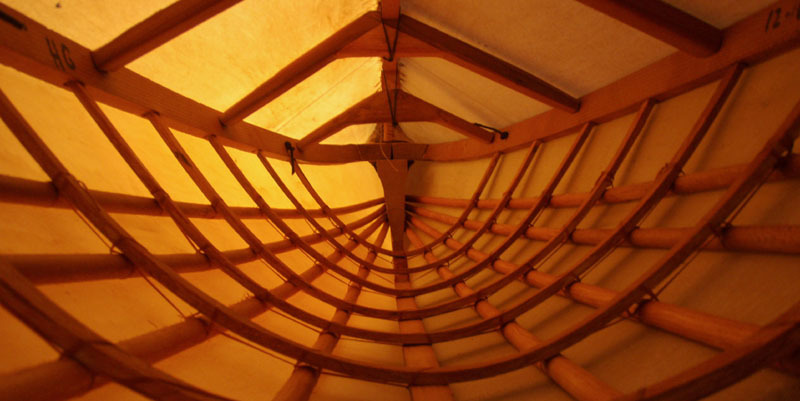 Bow Interior of the completed replica. Launched at Depoe Bay, Oregon.